We always look forward to the daily performances by the Candy Cane Carolers, and Santa’s Elves Sing-Along to keep us humming the day away, but the evening performances keep us warm! This year we can’t wait to see Mimi O’Bonsawin on November 28, rIVerse on December 9 and the Bluegrass Christmas Sing-along on December 19! The Toronto Christmas Market hosts Pet Photos with Santa Claus every Tuesday so visitors with fur babies can grab a festive keepsake for their four legged friends. We love Pet Photo day because we get to meet all of the awesome dogs! 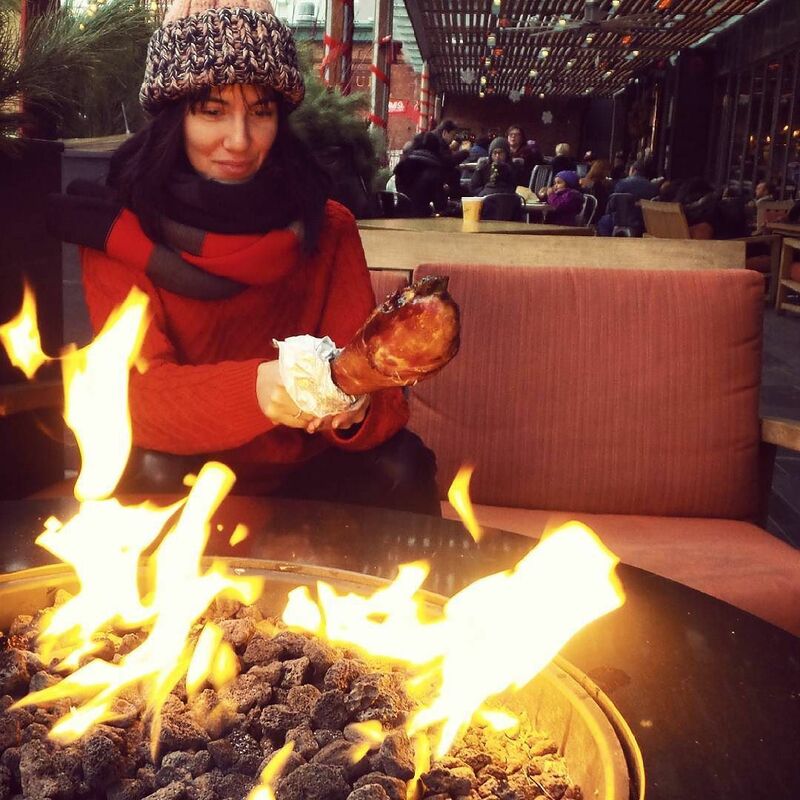 If you need a little cheer, head down to the Toronto Christmas Market because they have holiday spirits, a Winter Craft Beer Lounge and all the Glühwein (mulled wine!) that you can handle. It will pair well with the tasty turkey legs, poutine and other treats you will find around the Market. The Booths and Vendors, of course! The Toronto Christmas Market is a great place to shop for gifts because it has a wide selection of unique vendors – including RetroFestive.ca! You can grab kistchy Christmas items from our booth, handblown glass ornaments from Kitras Art Glass, and hand-painted nesting dolls from Wooden Wonders – just to name a few! So come on down to the Distillery for a stroll through a literal winter wonderland and stop by to say hi!